Following the Worldwide Developers Conference (WWDC) last month, Apple has announced it will reject white label apps from the App Store. The latest protocol are specified in updated App Store Review Guideline: “Apple bans apps created from a commercialized template or app generation service“. This news has immediately pulled attention in the tech industry and has even been featured in articles from TechCrunch and Fortune. 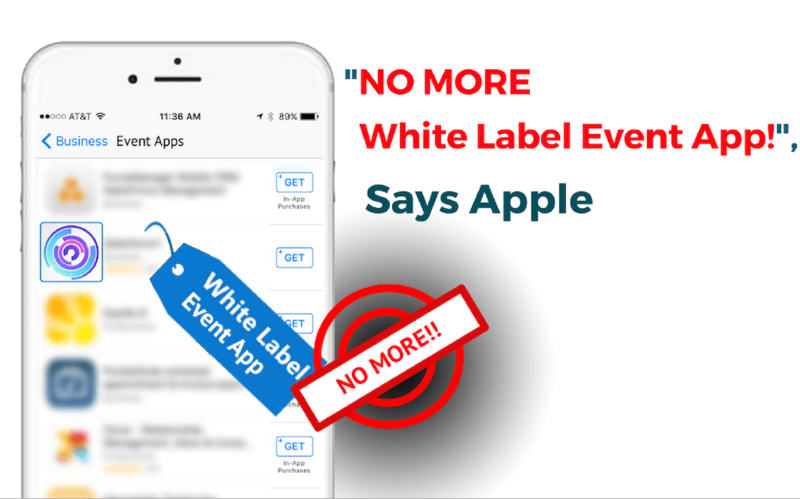 In late August 2017, several reputable sources revealed that Apple has already begun rejecting white-label event apps by enforcing the new policy, according to the Event MB, the most influential event industry news resource. Read this news to know more. What Do These Changes Mean for Whova Customers? NOTHING! We are very happy that our Whova customers won’t suffer from this sudden disruption in the event tech industry. From its inception,Whova has focused solely on creating and improving a reliable “universal event app,” which is a single app used by several hundred events every month. So, Whova customers, there’s no need to panic. We are on the right track. Apple’s news doesn’t mean event organizers have to give up the power to customize an event app with their own branding. 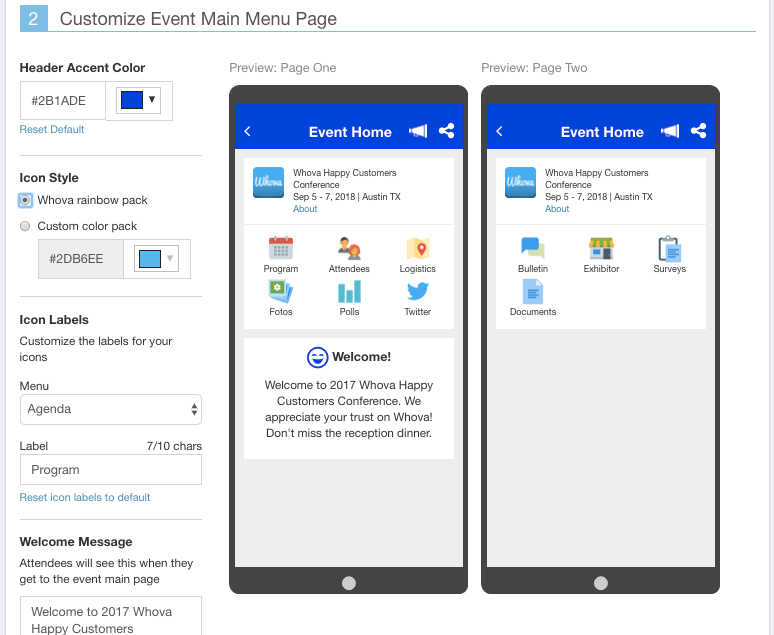 For example, while Whova is a universal event app, customers still have deeply branded experiences just like the white-label event apps beyond the app icon. Ready to find out how you can brand your next event on the Whova app? Here are 4 ways. You can keep your cohesive branding strategy by showing your business’s personality and style in the app. Set the tone by designing a splash image to be displayed on the full screen for a few seconds when attendees first join your event. Utilize the entire space by putting your brand logo, background image and color, and whatever else you need, like a logo for an important partner or major sponsor. Greet your attendees on the app with your own welcome message. It’s your event app that delivers your voice. It truly gives a personalized feel even to the largest event. This popular feature makes attendees feel connected right from the beginning. 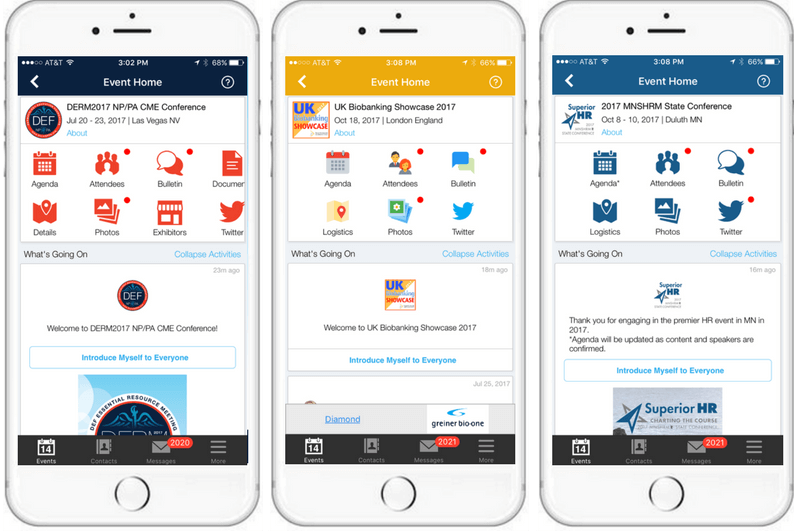 The online self-serve event management system eliminates back and forth communication with app developers. Instead, you can easily try different colors, splash images, and messages on your own, saving time and effort during the experimentation process. It’s so easy, it can be done with just a few clicks. And if you do need help, we’re just a phone call away to assist you. 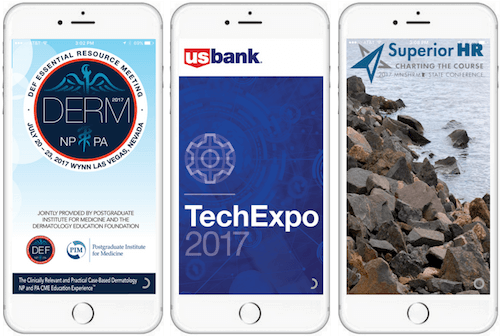 Don’t worry about the possible clutter and confusion of attendees taking the extra step to find your event within the universal app platform. Whova will automatically identify your attendees based on their event registration information so they don’t even have to search for the event on the app. Ready for the Future of Event Apps? To learn more about how Whova can help brand your own event app through the Apple-friendly universal app platform, please contact us at hello@whova.com or request more information. Want to know more about why Apple and the event mobile app industry are changing in our direction? 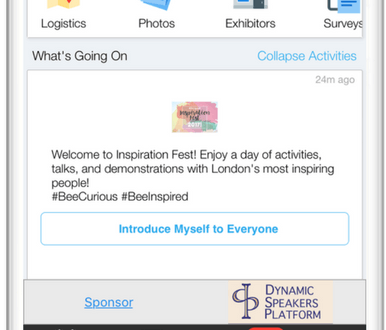 Get new insights from our resource: Is a White-Label Event App Really Worthwhile?